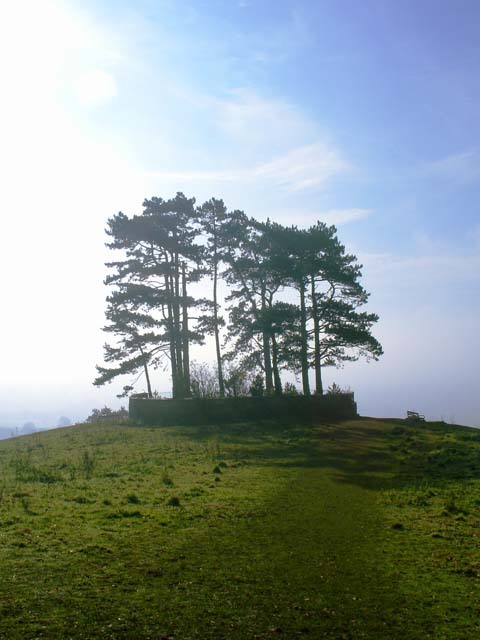 Trees were planted on this summit in 1815 to commemorate the victory at Waterloo. The next set of replacements for the original set of trees were planted to commemorate the jubilee of Her Late Majesty Queen Victoria in 1887. New trees were again planted in 1952. The site was also used in 1588 to house a beacon to warn of the approach of the Spanish Armada. Photograph of the information plaque: ST7593 : Information about the trees on Wotton Hill. © Copyright Linda Bailey and licensed for reuse under this Creative Commons Licence.